Tension is mounting at Bulk Oil Storage and Transportation (BOST) following the alleged sacking of the company’s Chairman of the Professional and Managerial Staff Union (PMSU). The chairman, Albert Mantey who is an Audit Officer at BOST was reportedly sacked by the Managing Director Kingsley Kwame Awuah Darko for breaching the company’s conditions of service. He was accused of granting media interviews on ongoing restructuring exercise and staffing policy without express permission from Mr. Awuah Darko who was the NDC Parliamentary Candidate of Ayawaso West Wugon (East Legon areas) in 2012 elections. The BOST brouhaha heightened when a leaked Ernst and Young audit report revealed massive corrupt practices among officials of the company. The report had said the endemic corruption was as a result of collusion between senior BOST officials and some of the bulk distribution companies (BDCs), a revelation which has sparked war of words between the two players in the petroleum upstream sector. In the ensuing confusion, sections of the BOST workers have accused the Mr. Awuah-Darko of being a dictator in relation to the way and manner he is allegedly running down the state facility. Daily Guide learnt that Mr. Mantey’s employment was terminated on Tuesday, April 28 after he had denied a query letter sent to him on April 21 for breaching Clause 10.6 of the conditions of service which the management said restricted communication on ‘any matter’ concerning the administration of or policies of the company to the media. The termination letter was signed by Phyllis Asinah, Acting Head of Human Resource of BOST. Even though Mr. Mantey has explained the circumstance that compelled him to grant the media interview, the BOST management is still adamant. The PMSU Chairman said a staff called Sackey had organized a news conference and leveled allegations against the staff fraternity and he responded to it in his capacity as the leader of the union and said his dismissal was an attempt to stifle dissenting views on the mismanagement at BOST. It emerged that BOST, which has been struggling to raise funds for its activities, pays a whopping $43,000 as rent to a property owner called Frontiers Developers Limited at Dzorwulu, Accra every month. Interestingly, before moving to DEMMCO House at Dzorwulu, BOST had its offices at Airport Residential Area, Accra which had bigger office spaces but reportedly paid $13,000 monthly as rent. Additionally, the BOST MD is believed to have ordered new customized furniture for his office from the United States for the new office, a group of workers calling for forensic audit of the state-owned company’s finances claimed. In a letter they sent to the presidency to investigate Mr. Awuah-Darko’s management style, the petitioners claimed BOST entered into an agreement with a company called TSL Logistics (Ghana) Limited where the state-owned company pays of $56,170.21 every month as management fees. BOST is also alleged to be paying $594,000 monthly to TSL which they claimed is to cater for ‘reimbursable’ and the amount included money for maintenance, training, standard operating procedures as well as salaries even though TSL Logistics is reportedly using staff of BOST to execute the said contract. According to the petitioners, the hefty payments were being made without invoices but the alleged payments continue to go through with the endorsement of the MD. They claimed that TSL Logistics continues to bill BOST for training fees although there was no training while BOST pays separately for their own training and added that BOST paid for a number of pick-up trucks for TSL and TSL in turn gave back four of the trucks to the MD for his parliamentary campaign at the Ayawaso West Wugon constituency. 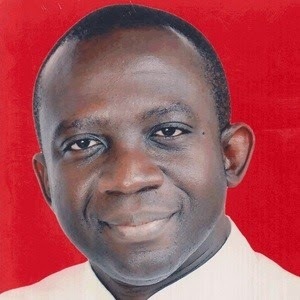 They further alleged that Mr. Awuah-Darko presented a budget of $8 million as the total cost nationwide automation BOST depots but in less than a year however, he has revised the amount to $16 million with the board’s approval. The concerned staff claimed the BOST is failing to account for $15 million from BOST’s partnership with the Ghana National Petroleum Company (GNPC).